rhizomes are edible raw, though possibly bitter. rhizomes is best when roasted, boiled, or fried for several minutes. roots can be dried for storage. roots are best when collected in autumn or spring. 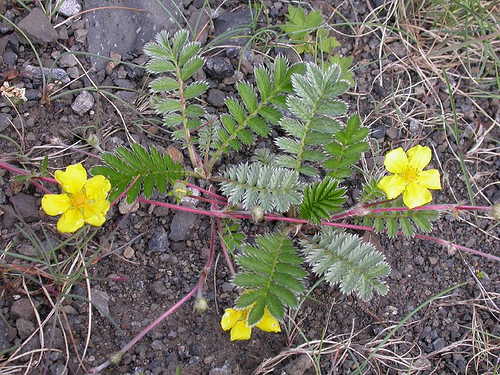 varieties in Ontario are Common silverweed (Argentina anserina) and Pacific silverweed (Argentina pacifica). grows in moist, open areas in plains, foothills, and montane regions.